Pam McLucas Byers , a ruling elder in the Presbyterian Church (U.S.A.) and member at Old First Presbyterian Church in San Francisco, served as the first executive director of the Covenant Network of Presbyterians. 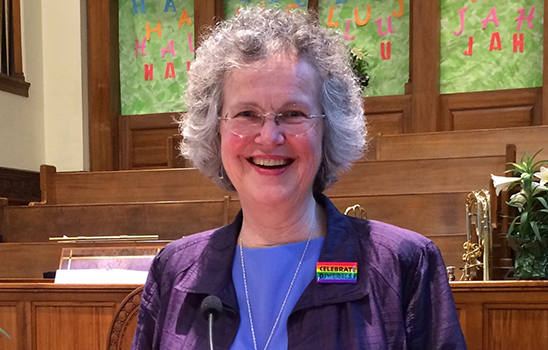 Pam used her generous hospitality, deep intellect, faithfulness to Jesus Christ, and commitment to justice and unity to connect Presbyterians across the theological spectrum in difficult conversations around the full inclusion of LGBTQ Presbyterians and their families in the life and leadership of the PC(USA). Pam died on October 27, 2014, after a long illness. 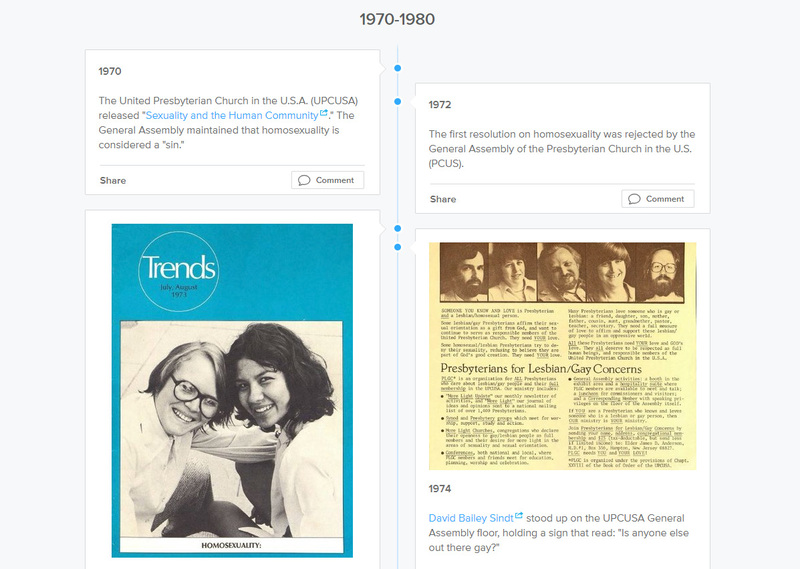 Recognizing that the organizational and personal records of faithful Presbyterians across the theological spectrum who engaged in the forty-year movement to enable ordination and marriage rites for LGBTQIA+ Presbyterians should be gathered in one location for research and guidance, her colleagues and the Presbyterian Historical Society launched the Pam Byers Memorial Fund (PBMF) fundraising initiative to collect, preserve, and share the records and oral histories related to the movement. This webpage and the information listed on it are the result of our beginning efforts. As we continue to collect materials and create resources for study and reflection, we invite you to participate. Contact Pam Byers Memorial Fund Project Archivist Elizabeth Wittrig  to discuss donating materials to the collection. Make a financial contribution  to the Pam Byers Memorial Fund by clicking on the donate button below or contacting PHS Director of Development Kim Shiley . Your designated gift will help PHS preserve the history of the LGBTQIA+ movement within the PC(USA). Explore Pearl online archives materials, oral history interviews, PHS Living History videos, and blog stories. Also clickable: links to collection finding aids, related papers, and outside resources.